Over time, worship services were held in members’ homes, the Old Masonic Lodge, the chapel that is still used by the African Methodist Episcopal (A.M.E.) Church today, as well as other churches. In the 1940’s, the church had to be re-built because of hurricane damage. A new sanctuary was completed and dedicated on March 17, 1974. 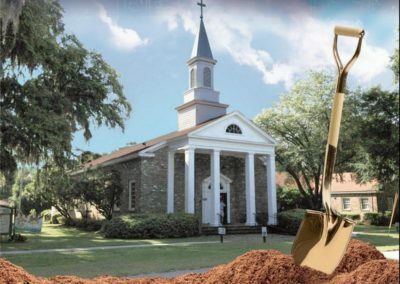 On June 15, 1997, Bluffton United Methodist Church became a single appointment church. 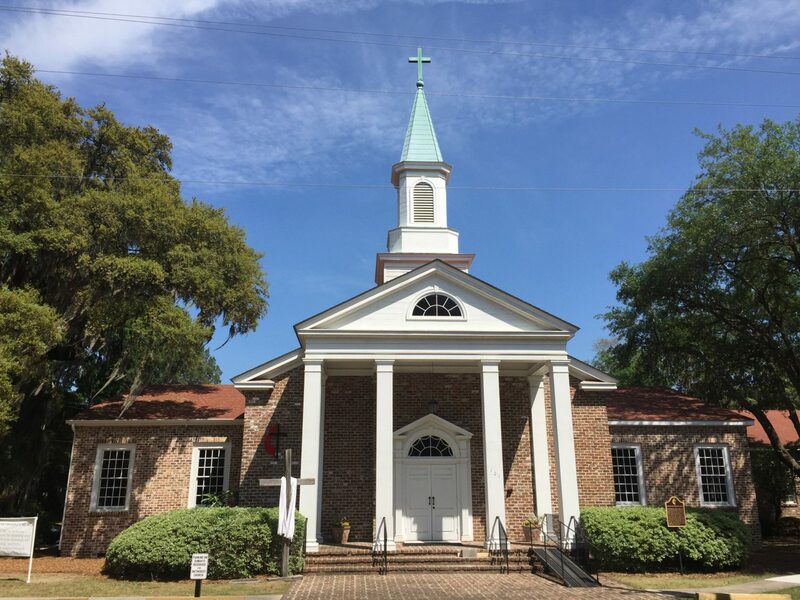 Until that time we shared a pastor with St. Luke and Hardeeville United Methodist Churches. We had a major building expansion in 2015 to handle our growth in all of our ministries. 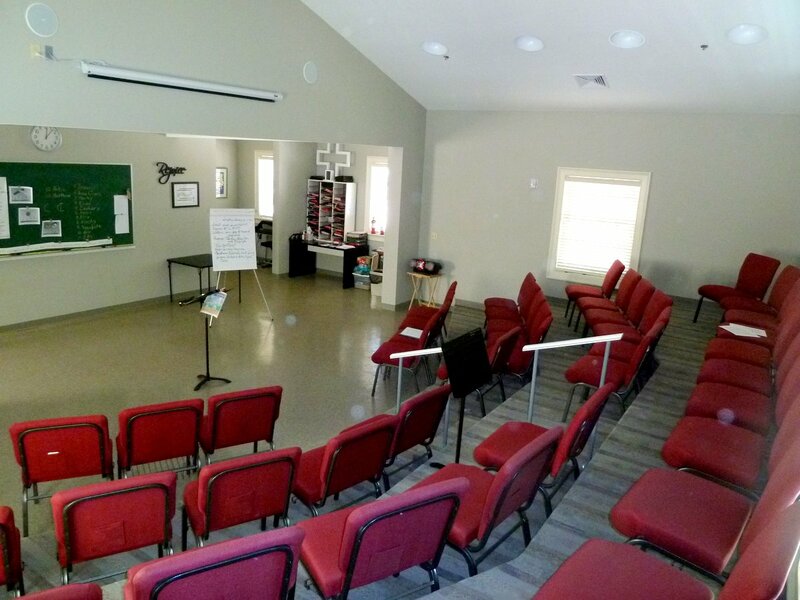 The sanctuary seating capacity was doubled. A new music suite was created for all choirs, including hand bells and chimes. On December 2, 1996, Bluffton United Methodist Church was officially entered in Bluffton’s National Register Historic District. 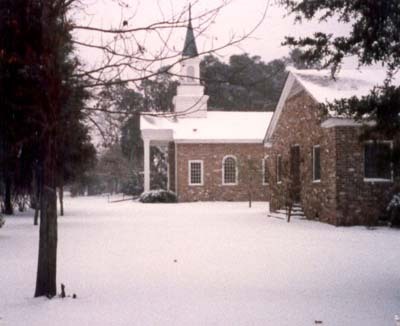 The St. Luke Parish was established by the Carolina Assembly in 1767. Commissioners were appointed to secure a parsonage from the Anglican Missionaries, but the Revolutionary War stopped these plans. In 1786 a group of men led by William Host of Indian lands organized and built the Church and Parsonage. 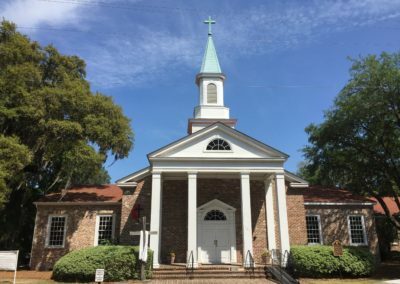 The Church was rebuilt in 1824 and used by the Episcopalians until 1875, when it was sold to the Methodists. 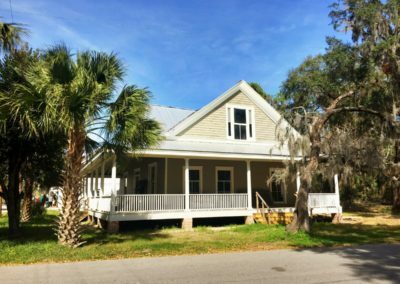 In 1853 The First Methodist Society in Bluffton was organized, and the Church and Parsonage were built, under the leadership Rev. George Allen. During the Civil War a landing party from a Federal gun boat, set fire to the Church and Parsonage, the Parsonage was destroyed, but the Church was saved by confederate soldiers. 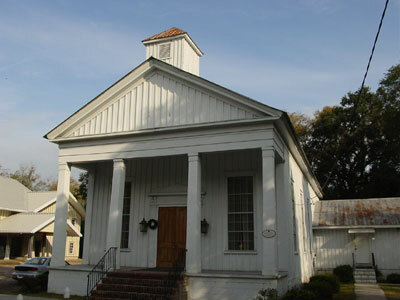 In 1874 the Bluffton Church was sold to the African Methodist church, and is still used by them. By 1875 the greater part of the Members had died or moved away. 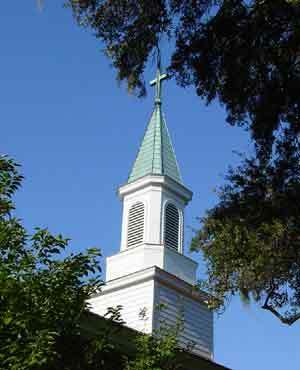 The remaining members joined the Methodists of the Prichardville section and purchased the St. Luke Episcopal Church. 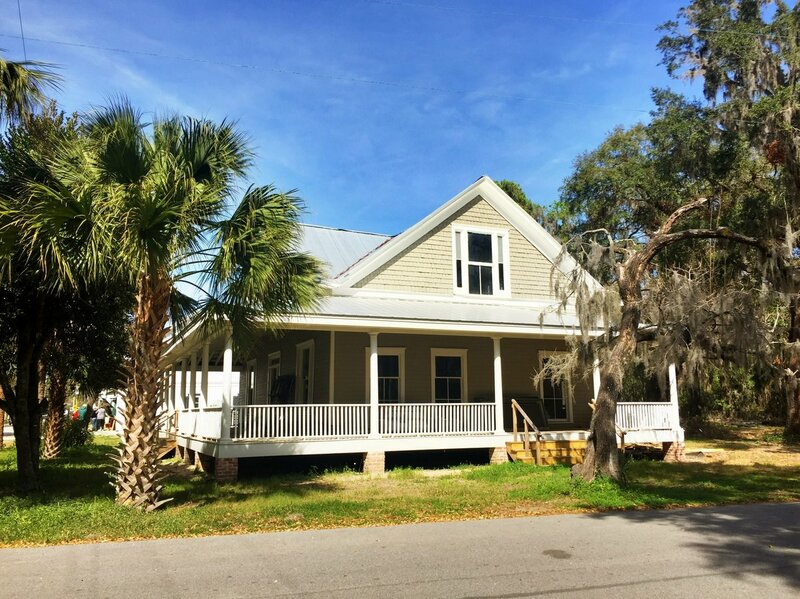 In 1884 Mrs. Mary E. Snyder organized a Sunday school in Bluffton, which held its meetings in her home. Later Church services were held in a vacant store by Rev. Paul Whitaker of the Hardeeville Charge. 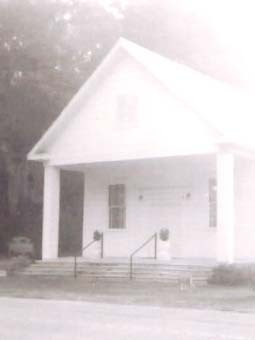 In 1890 the Bluffton Church was built under the leadership of the Rev, W. R. Buchannan. In 1912 the Bluffton Charge was organized. In 1915 a parsonage was built when the Reverend B.L. Knight was pastor. In 1928 five Sunday School rooms were built at the back end of the Church, Rev. A. F. Ragan, Pastor. In August of 1940 the Sanctuary was destroyed by a hurricane. Services were held In the Episcopal Church. On Jan. 14th 1945, the Church was rebuilt, and dedicated, by Bishop Clare Purcell, Rev. Q. L. Ingram, Pastor. In 1957 The Educational Building lot was given to the Church by Mr. and Mrs. W. L. Mingledorff. A building committee was appointed as follows: W. L. Mingledorff, Chairman; Dr. L. D. Boone, Fred Lynn, Jef Davis, C. E. Ulmer, Jr., and Mrs. Vallie Conner. In Nov., 1960 the land breaking for the Education Building was held and the building was completed and dedicated in 1962 by Bishop Harden, Rev. Jack Ray, Pastor. 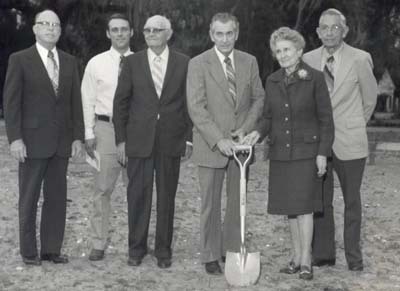 On Feb. 25th, 1973 the ground breaking for the new Sanctuary was begun with the Rev. J. M. Prater, Pastor. On March 17th, 1974 the new Sanctuary was completed and dedicated by Rev. George Whitaker, D.S. The church building and parsonage were made possible by a large bequest from Mr. and Mrs. W.L. Mingledorff. 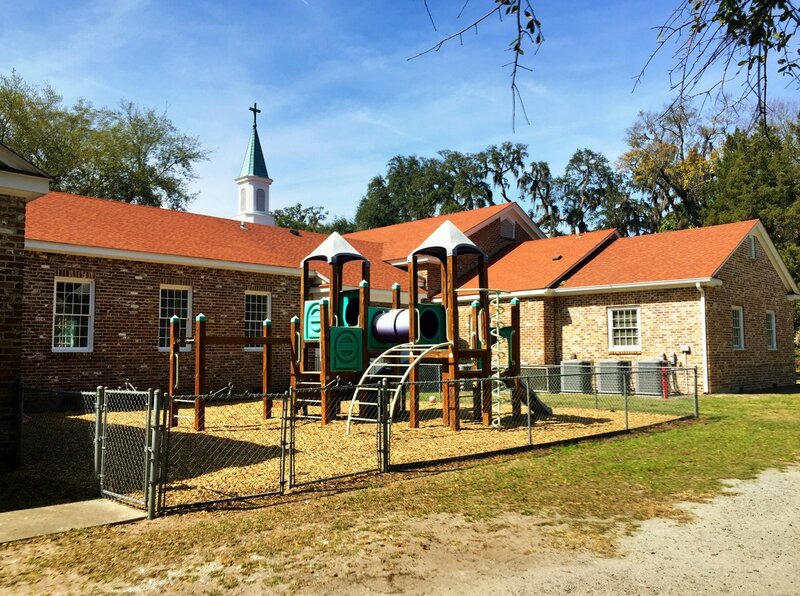 On June 21, 1996 the Bluffton United Methodist Church was entered in Bluffton’s National Register Historic District. On June 7, 1998 the MDS-36 Allen Organ was dedicated to the Glory of God and in honor of Col. Kistler Ed Rhoad by his wife, Lucille Road with Rev. James W. Ivey officiating. 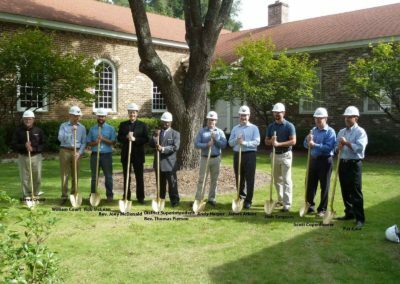 On Sunday, September 27, 2015 a Consecration service was held celebrating the completion of the church expansion with the District Superintendent leading the service. On August 11, 2016 the Graves House exterior renovation was completed. 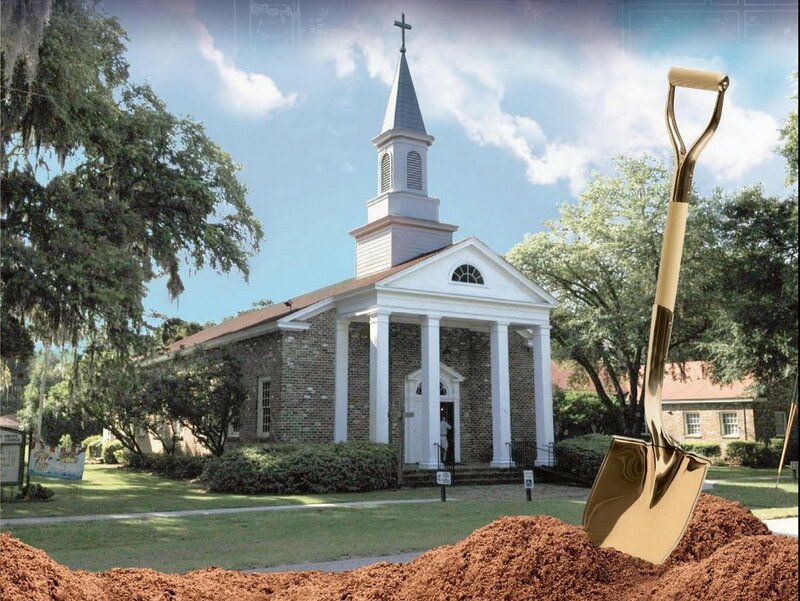 BUMC before 2015 expansion image from our campaign brochure. Groundbreaking for the 2015 Expansion. The Graves home exterior renovation to become the parsonage.